Vegan activists are urging a monkey dealer to reveal information about an animal who appeared in a 2015 investigation - but has not been seen since. More than 22,000 of the charity's supporters have emailed PPI in a bid to discover what happened to Loretta, who's condition reportedly deteriorated after PPI supervisors trivialized or ignored reports about her compromised welfare. PPI has refused to respond to PETA's request for information about her fate. 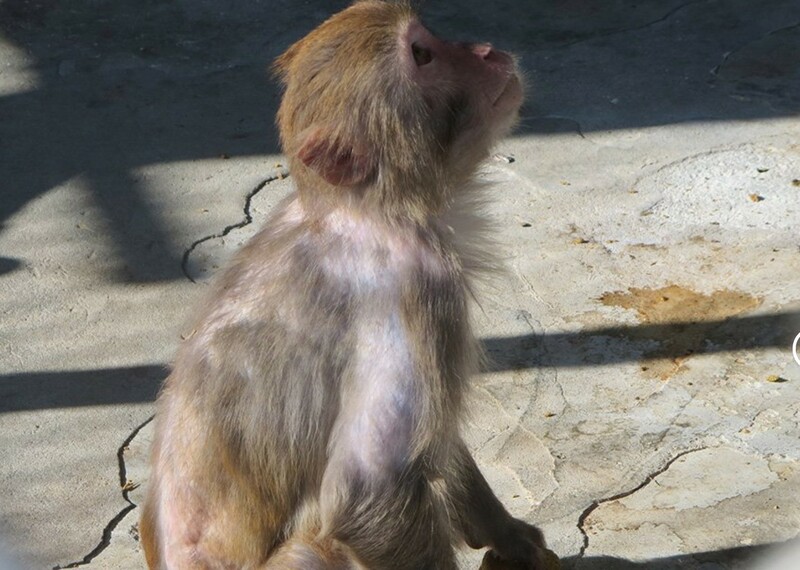 PETA Senior Vice President, Kathy Guillermo, said: "Workers at PPI allowed a gentle, terrified monkey to suffer without relief, even as she lost most of her hair in distress and trembled alone in the cold. "PETA is calling on this horrendous monkey prison to stop hiding suffering in the shadows and to come clean about what happened to Loretta." PETA adds: "Following our investigation of PPI, which revealed sick and injured monkeys forced to live in filthy, barren, and dangerous conditions, the U.S. Department of Agriculture cited PPI for at least 25 violations of animal-welfare regulations in reports here and here. The agency's investigative arm also opened a formal investigation, which is still ongoing."